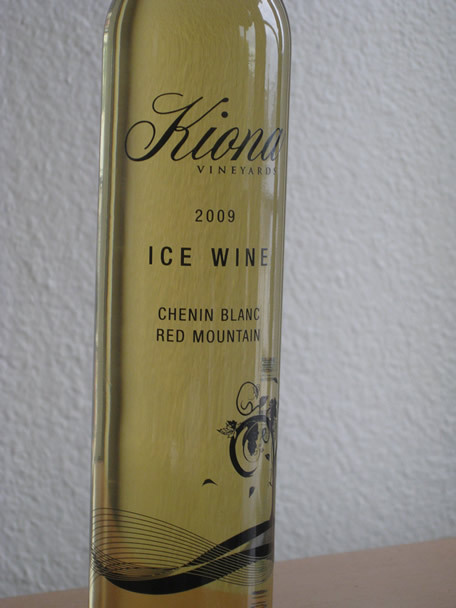 Last month I unveiled Kiona’s new dessert wine package. The silk-screened bottles represent a significant change in the look of our dessert wines, and we are very excited about it. The bottles should be arriving this week from the silk-screeners, so look for those very soon. I’m writing to follow up that announcement with another one: we have new labels for our non-estate wines coming very soon. In fact, they have already arrived from the printer and are being applied as I type this. The label that we are moving to is certainly an evolution of what you’ve been used to seeing for the past several years; in fact, I presume there’s a chance that some people won’t notice there’s been an update unless they see the new label and the old label side by side. It was important for us to take a long, calculated approach to changing the look of our package. We’ve had the Kiona script since we started, but we’ve had many label variations over the years with little continuity across the board other than that script. 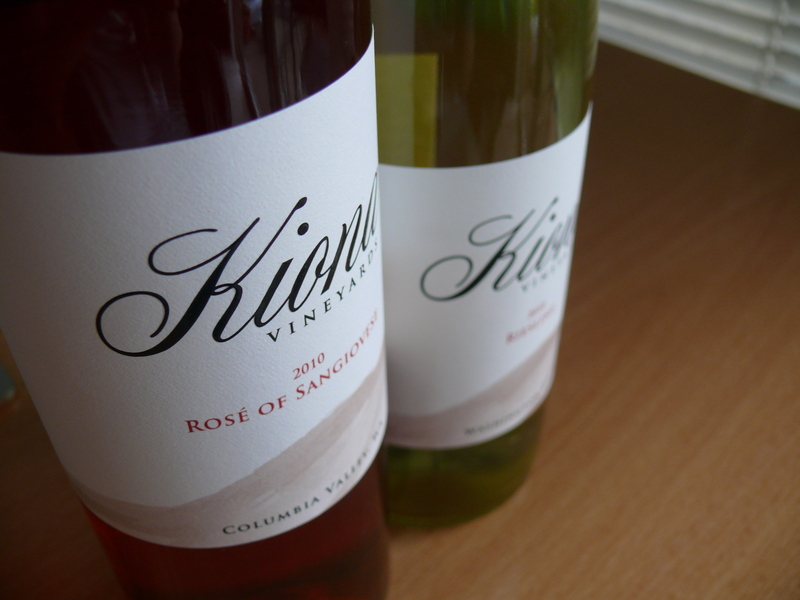 The name Kiona means brown hills, so we decided to focus on that aspect and really build the label around that core idea. 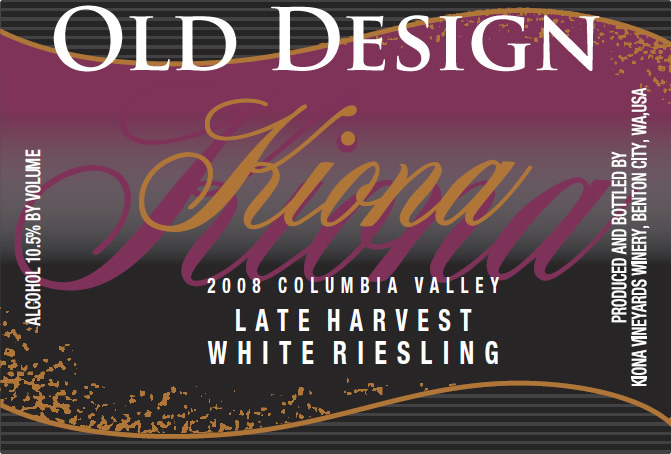 It was important that people be able to look at the new label and recognize it as Kiona, so to that end, it’s largely evolutionary as opposed to revolutionary from a design standpoint. We wanted the label to be simple, attractive, recognizable, true to our philosophies of family and place, as well as timeless. These are nationally and internationally distributed wines; our new look had to be as appealing to folks on Capitol Hill in Seattle as it is to folks in Tennessee or beyond. We actually got pretty far along on a number of designs, even taking one so far as to shop it around to printers. Like I said, it was important for us to look at this as a long-term change. Would a design look as good to me in 10 years as it does now? We had to be very conscientious of who we aligned ourselves with in the industry. We are a family owned and operated business, not a mega-winery. In my opinion, there is a very formulaic “corporate look” that a lot of the bigger wineries subscribe to. It was important that we not tread too far in that direction, because that’s not where/how we compete and differentiate in the marketplace. On the flip side, it’s not conducive for our current sales volumes to look like a small basement/garage operation. So after a very long process, we ended up with the design that you see here. It’s a wrap-around label (one piece) that shows a stylized/watercolor inspired panorama of Red Mountain and Saddleback Mountain. Red Mountain is on the front. The Yakima River is represented in the middle, and the big/sloping face of Saddleback is on the back underneath the Gov’t warning text. The paper is embossed with a texture and the Kiona script will have a silk-screen high build, meaning it will be raised from the rest of the paper. We wanted to give people a sense of place without being so obvious as to smack a drawing/picture of vineyards and/or our building on the label. The layered watercolor look inspires a wind-blown feel, which, if you’ve ever visited Eastern Washington, is fitting for the area. Best of all, it’s a visual interpretation of the Kiona name that simultaneously tells a story and looks nice (at least in my opinion). On the “back” we have two distinct paragraphs. Some might argue that this is too much text, but I always prefer to give people information: they can choose whether or not to use it. The first paragraph is what I call the “outside the bottle” details, including brief family history, ideology, and pronunciation/explanation of the word Kiona. The second paragraph gives a brief overview of what to expect in the bottle… or the “inside the bottle” details. I am including both of these because different consumers prefer different types of information. The sweetness scale is a tremendous tool for the consumer, and one that we hope will make purchase and pairing decisions easier. The QR codes are something that we have a “wait and see” attitude on. I personally think that it’s great. How cool is it to scan a code and get a 30 second run-down on the exact wine in your hands from the winemaker… all while still in the grocery store? Time will tell if people will actually use it. My hope is that this will appeal to the younger set of consumers who identify with the importance of social interaction and stories, and who carry smart phones everywhere they go. A decent percentage of people will look at that and have no idea what it is, but that’s why we’ve got the more traditional information back there as well. So that’s our new label. Hopefully you like it… if you don’t hopefully you’ll keep drinking the wine inside. UPDATE: I almost completely forgot to mention that the final artwork was done by none other than Jessica Knollmeyer, a University of Washington and Art Institute of Seattle student originally from the Tri-City area. She has aspirations to do a graphic design full-time when she is done with school. If you’re looking for someone with a the ability to listen to what you want and the design talent to make it happen, look no further. Here is her LinkedIn profile. It’s a wonderful day in the Kiona neighborhood. 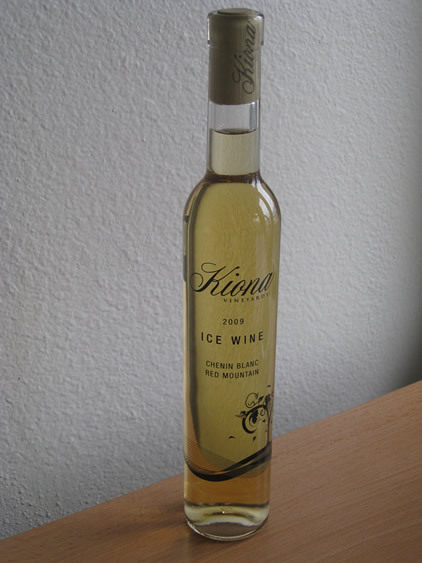 After a very long process (changing a label is a big deal) we have selected a design/technique to replace the magenta label that we currently use on our three dessert wines. 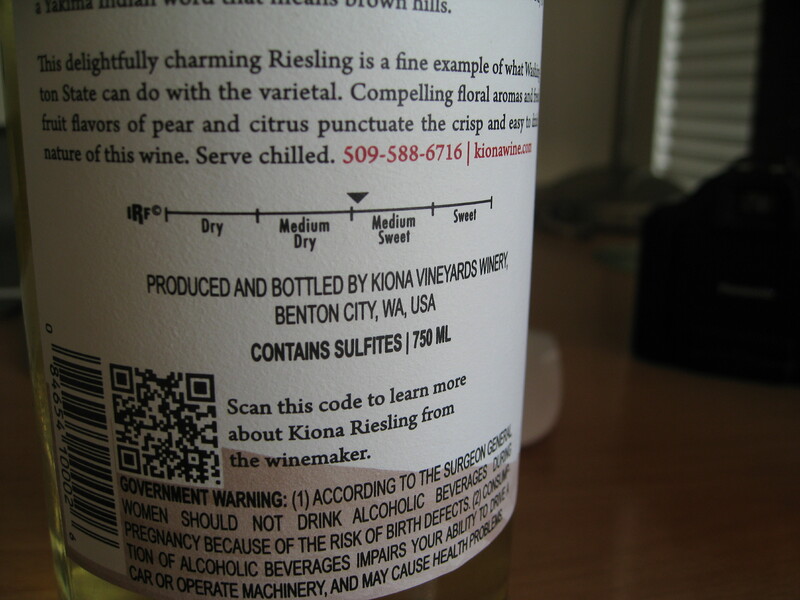 Change is good, and while we realize that there are fans of the old label (including some prominent proponents at Kiona! ), we are marching forward with a design that we are all very excited about. We’ve done away with the paper, opting instead for a silk-screened graphic printed directly onto a transparent bottle. 2. Should make bottling much easier. When a glass bottle is filled with a cold liquid, condensation is bound to form on the exterior of said bottle. Paper labels do not work particularly well when you’re trying to stick them on a wet glass surface. The bottles will come to us already silk-screened, thereby eliminating the need to apply a label ourselves. 3. Updates an (in my opinion) outdated look. We used the magenta labels for more than a decade on various wines, and the label, while unique, did have a number of shortcomings. It was hard to read. 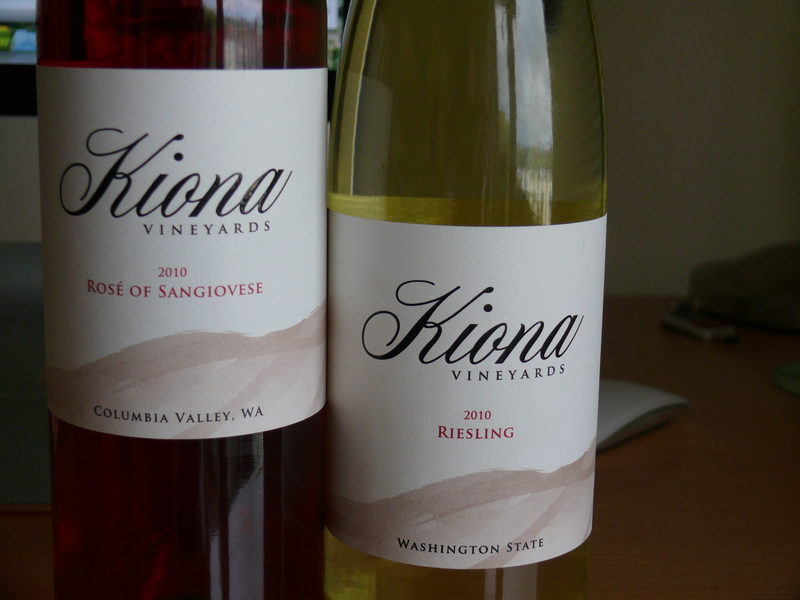 It didn’t speak to the history of Kiona, of Washington State, or Red Mountain. It didn’t do anything to differentiate the product inside from any other bottle of wine on the shelf. It looked, well, old. We tried to keep certain elements of the magenta label so as not to completely cast it into oblivion, but the carry-overs are subtle enough that you probably really need to pay attention to notice. We are really excited. 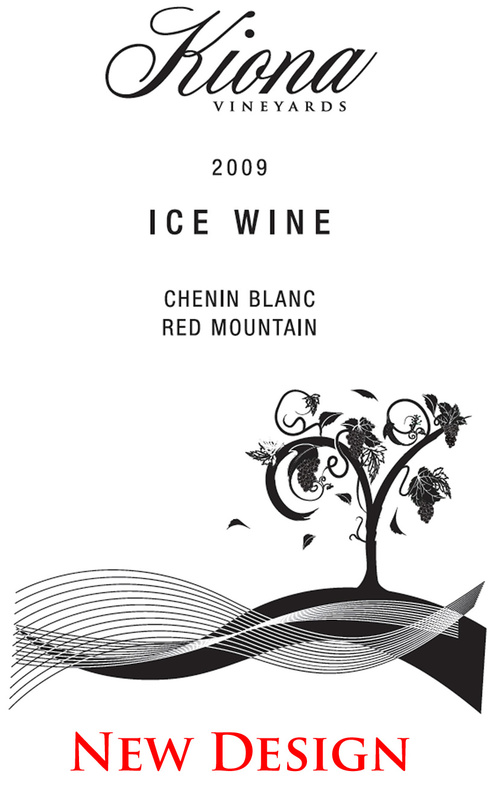 Look for the new design on our 2009 Estate Chenin Blanc Ice Wine, 2010 Late Harvest Gewurztraminer, and 2009 Late Harvest Riesling. We are prototyping a couple of concepts for new wine label features, and one of the more interesting additions has been a QR Code. If you’re not sure what a QR Code is, it’s basically a barcode set on a two-dimensional matrix. This matrix can be read or scanned by smartphones, and linked to online content. I am very excited at the opportunities this will create not only for the end consumer, but wineries as well. Who wouldn’t want a 30 second blurb from the wine maker regarding the bottle that is in your hands? Questions or comments? Sound off below! Our updated timetable for opening to the public is December 1st. I think this is a more realistic goal, and I am optimistic we can be where we need to be by that time. I visited yesterday (November 9th) and was impressed by the progress that had been made in a week’s time. 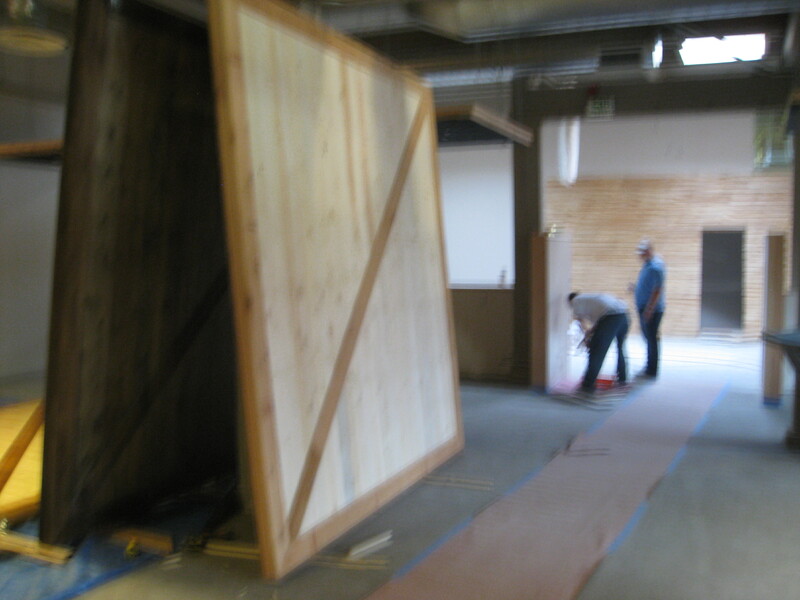 This first picture is of one of the giant doors that I believe is going to separate the tasting area from the event space. 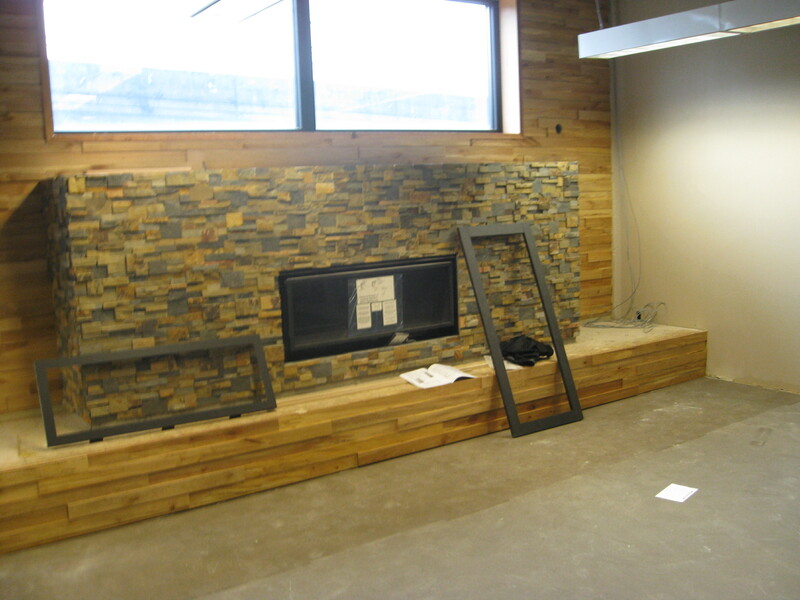 The second is the same sized door standing on end (blurry) and the third shot is of the fireplace at the end of the room. We are all very excited, and hope that you’ll come visit when we open! I’m going to start by saying that this is unequivocally a big deal for us, as a winery and a business. Our hope, obviously, is that it’s also a big deal to the wine drinking citizens and visitors of Seattle. 2010 marks our 30th year of making wine, so what better way to celebrate than to take part in arguably the biggest wine-tasting revolution our state has ever been witness to? I realize that is quite a lofty statement, so let me try to explain the concept. We feel this joint approach will offer you, the consumer, an unprecended wine-tasting experience. 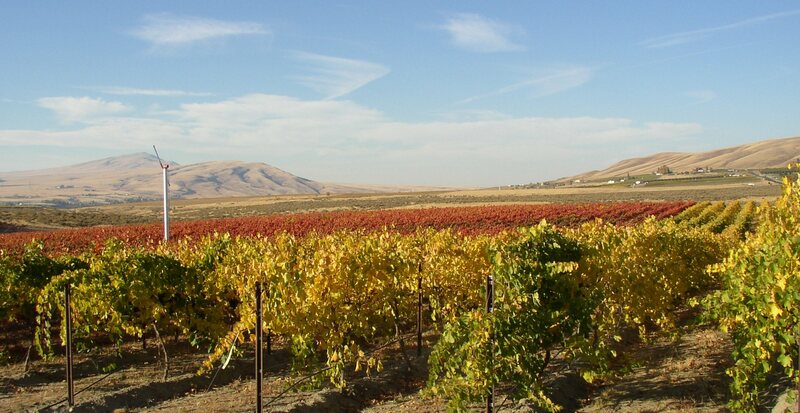 Want to do a cross-AVA Cabernet tour? This is your spot. 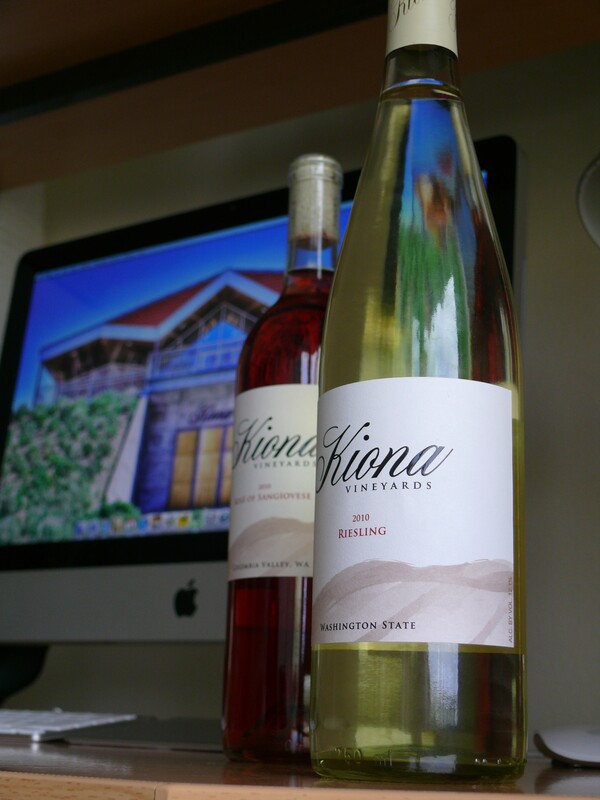 Kiona (like all of the other wineries) will have our own tasting bar, staffed by a Kiona employee. We don’t stop at tasting though: You’ll also be able to purchase wine flights and wine by the glass on premise. 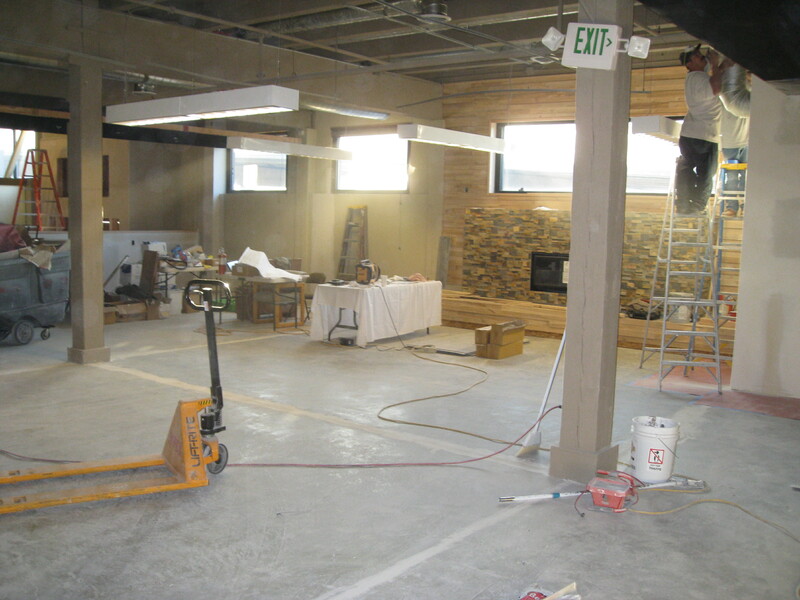 We will have a central tasting area, complete with plush, comfortable furniture, fireplace, and an appetizer menu. Think about that for a minute. You’ll be able to sample a number of wines from a number of wineries. Find one you really like? Order a glass and relax. It’s as much a wine bar and restaurant as it is a tasting room. We are using a “library card” system, meant to make the experience as seamless and easy for our customers as possible. 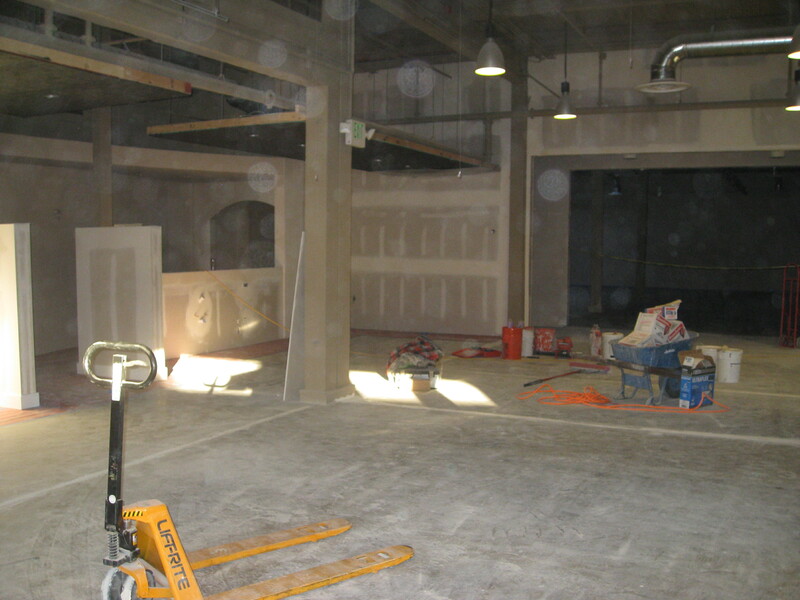 When you walk in, there will be a “concierge” desk and greeter. This person will take your payment card and hand you an Urban Enoteca swipable card. You use your card to make “purchases” throughout the course of your visit (for example, you taste three wines, have one glass, and buy two bottles, all from different wineries). At the end of your stay, you simply take your Urban Enoteca card back to the concierge desk where you will be charged a single time, and you’re on your way. It’s not just wine. Urban Enoteca also has a full kitchen. We have a full sit-down food menu prepared lovingly by our expert culinay team, as well as small bites from DeLaurenti that can be ordered in the wine tasting area. In addition to all of this, we have enough event space for 200+ people (or up to 400 if the entire venue is rented out). Obviously food/catering is taken care of in house, (as well as beverages). Sounds pretty cool, huh? We certainly think so. 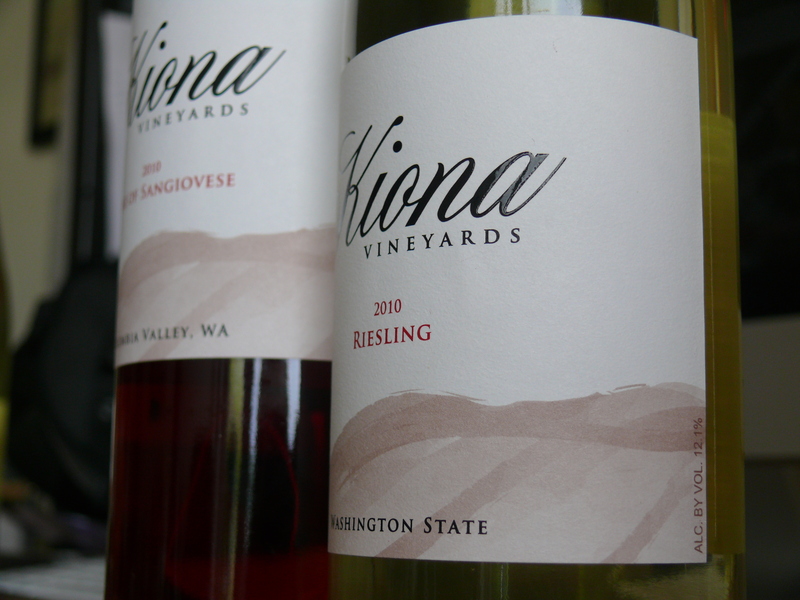 Kiona has mulled the possibility of opening a tasting room in Western Washington for some time now, but it never felt right. 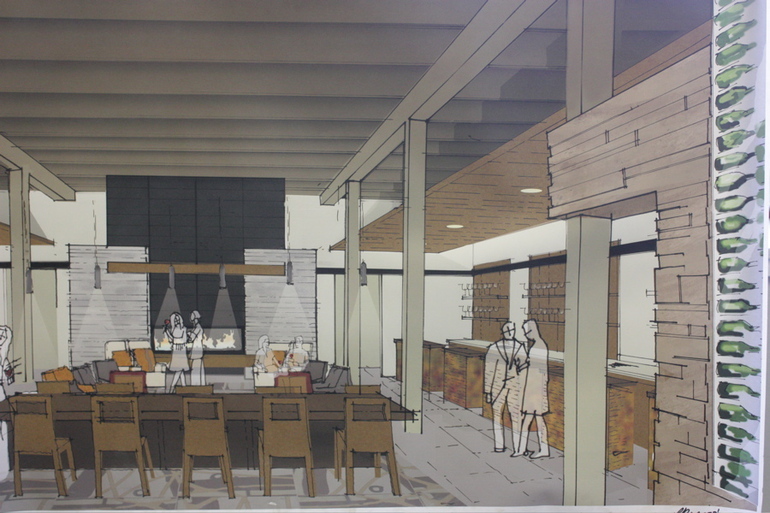 We didn’t want to be “one in a crowd” in the Woodinville tasting room scene, and we didn’t want to shoulder the responsibility of running a new solo satellite venture from across the state. This unique approach to bringing wine “to the people” in a communal and social fashion was very appealing. There’s more to tasting wine than just tasting wine, if that makes sense, and we think Urban Enoteca is going to be the complete package in that regard. We are targeting a mid-to-late November opening date. In reality, it’s going to open whenever it’s ready, so I won’t speculate as to an exact date because it won’t mean anything. Here are some pictures that I took on November 2nd. 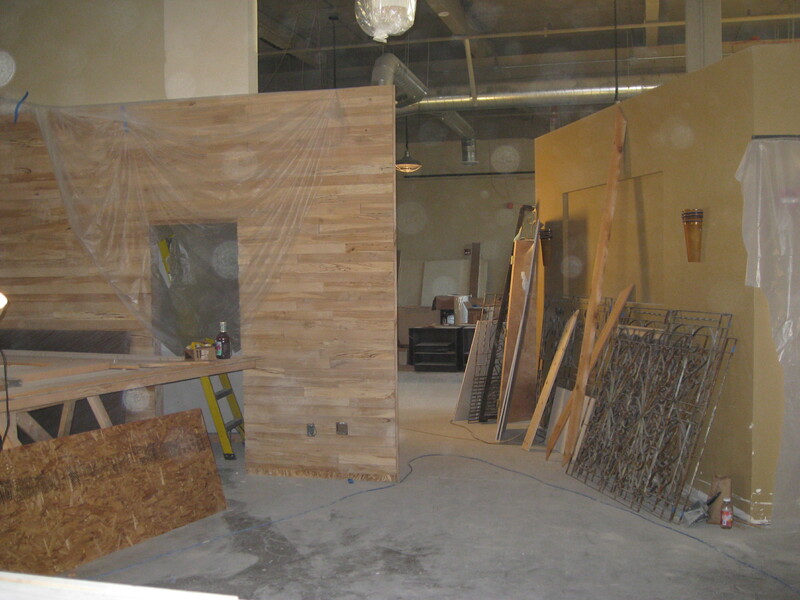 As you can see, construction is well underway, but we have a long way to go in a short period of time. Here is the Urban Enoteca Website. Urban Enoteca will be located just a hop, skip, and a jump away from downtown Seattle at 4130 First Avenue S, Seattle, WA 98134. If you’ve ever visited a winery during crush, you will know that winemakers are often a music-lovin’ bunch. Nothing like rocking out in the cellar, particularly with all of the fantastic echo-y acoustics one often finds in a cold, concrete/metallic environment. That being said, here is a 25-song playlist that could play an integral role over the course of Kiona’s 2010 vintage! What other songs should be on this list? Leave ’em in the comment section below! Molly got a job as a pantry cook at Ray’s Boathouse in Seattle. If you’ve never heard of this restaurant, all you need to know is that it is one of the premier seafood eateries in the Pacific Northwest. When she started, her responsibilities included salads, cold appetizers, and desserts. She has recently started to work on the grill as well. This position is in addition to her continuing culinary school education, which has just entered the second quarter. Her plan to unleash deliciousness on unsuspecting taste buds continues! 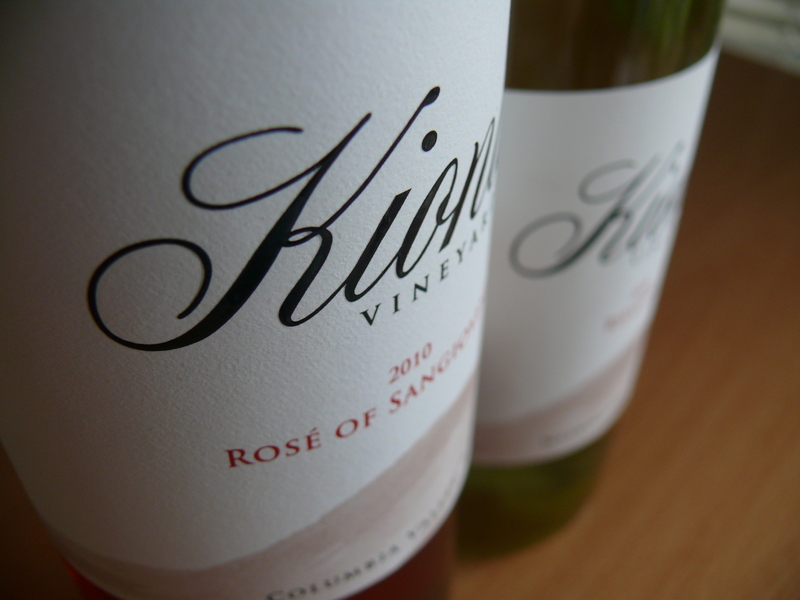 We (as in Kiona) are working on new labels, which is a frustratingly laborious and time-consuming process. You can expect a new look from us sometime in the future. How’s that for a non-update update? 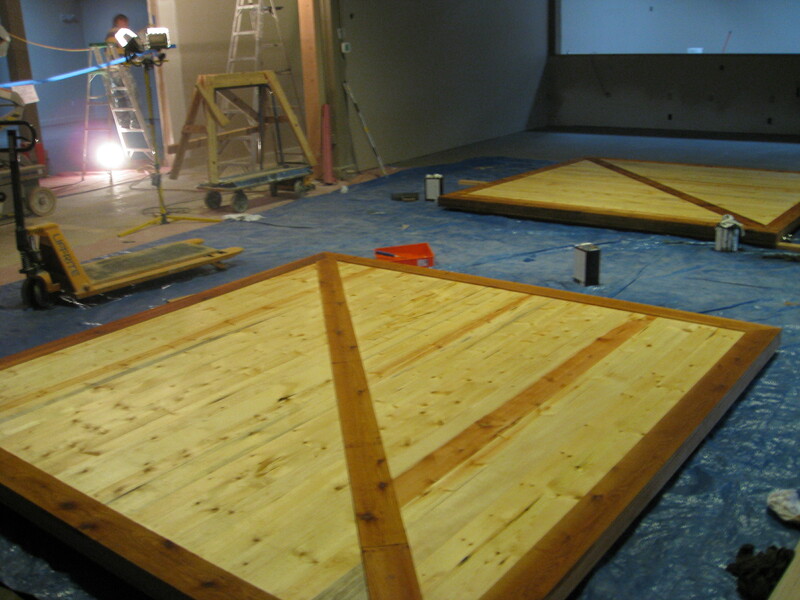 New Seattle-area tasting room is starting to materialize. More to come very soon, but we are excited to bring our wines to the wonderful folks of Western Washington. Here is a little video that shows our grape harvester in action for the 2010 picking season. Thank you for reading/watching, and look to hear from us much more regularly in the future.